Passionatemae | Food has a way of bringing people together: How do you tell it's good Chocolate?! All our senses (sight, smell, sound, touch and taste) come into play. Here are a few pointers that might help you tell whether it's high quality Chocolate. adapted: The chocolate and coffee bibble. Chocolate should be smooth, brilliantly shiny and pure mahogany-black in colour. Chocolate should not smell excessively sweet. Chocolate should be crisp and make a distinct "snap" when broken into two. If the chocolate splinters, it is too dry; if it resists breaking, it is too waxy. Chocolate with a high cacao butter content should quickly start to melt when held in the hand; this is a good sign. In the mouth, it should feel ultra smooth with no hint of graininess, and it should melt instantly. 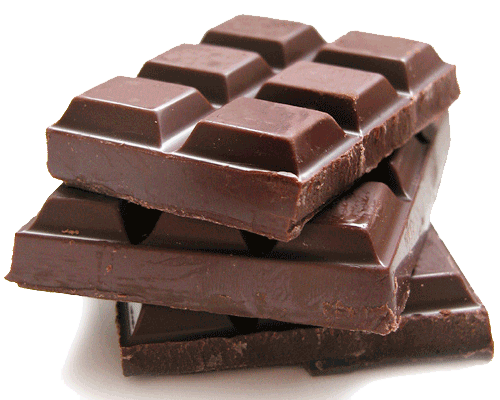 Chocolate contains a kaleidoscope of flavours and aromas that continue to develop in the mouth. The basic flavours are bitterness with a hint of acidity, sweetness with a suggestion of sourness, and just a touch of saltiness, which helps release the aromas of cocoa, pineapple, banana, vanilla and cinnamon. *Cacao - The botanical name and refers to the tree, the pods and at one the unfermented beans from the pods. The term is now used for beans that have been fermented. Yum, I've always loved chocolate that melts in the hand! Now I know it's also good quality! Haha, nice post - Life's too short for bad chocolate! Stephanie: thanks! you're so right!